On first glance, the F looks relatively similar to its predecessor, especially from the front. But pop the hood and you’ll find some significant changes that make this the most attractive premium compact on the market. Perhaps the most important of these is the much-acclaimed 24.3MP X-Trans CMOS III sensor, which is the same as the one found in the pro-level X-Pro2 and X-T2 CSCs. This gives the X100F a whopping 8MP advantage over its forebear, allowing for much heavier crops in post-processing – very useful on a fixed prime lens – and much larger print sizes. And as with the X100T, there’s no anti-aliasing filter built in, which produces the sharpest possible results. To support the new sensor, the camera comes with an upgraded engine too – it now sports the X Processor Pro, which is again borrowed from Fuji’s more advanced, and considerably more expensive, mirrorless models. 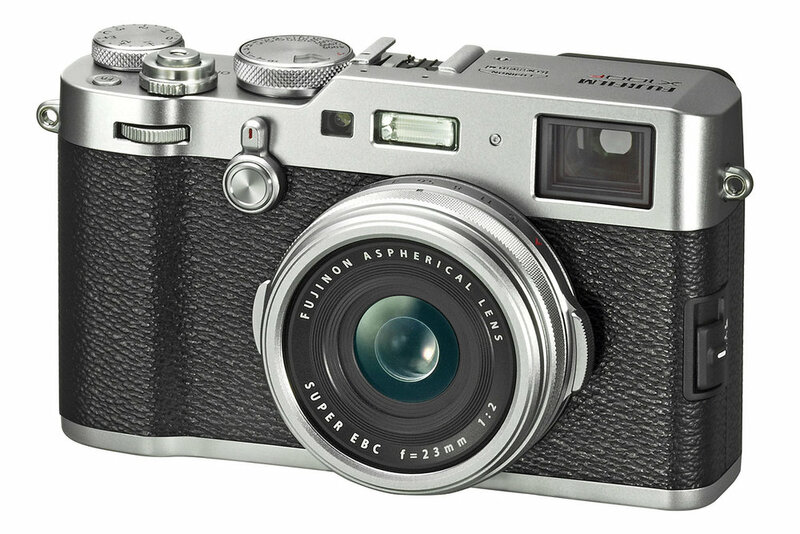 The 23mm f/2 lens (35mm equivalent) is identical to the one found on the X100T. As well as being fast, sharp and extremely compact, the lens contains a leaf shutter, eliminating the need for a regular focal plane shutter in front of the sensor. Leaf shutters are normally only found on medium-format cameras, and have the advantage of being virtually silent, very compact, and allow full-power flash to be used with fast shutter speeds. The camera also has an electronic shutter should you need an exposure faster than 1/4000sec. The X100F boasts a native ISO range of 200-12,800 – one full stop greater than its predecessor. Combine this with its wide f/2 aperture, and you have a camera ideal for shooting handheld images in low light situations such as weddings and events. The X100F’s focusing system has seen an upgrade too, now sporting 91 phase-detect points, which cover 40% of the image area (up from 49 points on the X100T), as well as 234 contrast-detect points that cover most of the rest of the frame. We found the focusing to be very fast and accurate, and it operates very well even in tricky lighting conditions. In fact, Fuji claims it can lock focus in as little as 0.08sec. Combine that with a start-up time of 0.5sec and you have a camera as responsive as many top DSLRs. The focusing system can be adapted to the subject you’re shooting using the six in-built AF modes, including tracking AF for fast-moving subjects. There’s also focus peaking and Digital Split Image Display built in for those who like to focus manually, both of which are even visible in the optical viewfinder. Thanks to its powerful processor, the camera offers a competitive continuous burst of 8fps for 60 JPEGs or 25 14-bit RAWs, assuming you’re using a fast enough SD card. After this, the shooting speed slows down. This is an improvement on the X100T, which offered a rather underwhelming 6fps for 7 RAWs. Although not designed to be a sports or wildlife camera, a fast burst can come in very handy for street, travel and child photography. On the rear of the camera is a 3in 1040k-dot screen, which is bright and colour-accurate. Unfortunately, it doesn’t flip or tilt out, although this won’t bother everyone, but the lack of touchscreen functionality is a pity. For what the X100F lacks in its screen, though, it makes up for in its Advanced Hybrid Viewfinder with auto eye sensor. This enables you to choose between a 2360k-dot electronic viewfinder (EVF) or an optical viewfinder (OVF) using a switch on the front of the camera body. You can also combine the two and have an electronic display overlaid on the OVF. This display includes the previously mentioned Focus Peaking and Digital Split Screen Image functions, as well as key settings and focus points display. We love this hybrid functionality, as it allows you to feel very connected to your subject without sacrificing important viewfinder information, exactly as you’d get on a DSLR. Those attracted to the camera for its retro looks will enjoy the 15 Film Simulation modes, which allow you to emulate the characteristics of Fuji’s most famous photographic films, including Provia, Velvia and Astia. Other great features include Wi-Fi, an in-camera panorama function, a hotshoe for an external flash, a Bulb mode up to 60 minutes, and an interval timer for time-lapse. There’s also an integrated 3-stop ND filter so you can get creative with slower shutter speeds, or use a wide aperture in bright daytime conditions. Battery life is fairly limited – 270 shots using the EVF or 390 using the OVF. The camera offers a maximum video resolution of Full HD (1080p) at 60fps for 14-minute movies. This is adequate, although there are several cameras that can shoot 4K for less money, including Fuji’s new X-T20. For the majority, this won’t be a huge issue, but that short clip duration is worth bearing in mind if you shoot video regularly. It’s also worth noting that there’s an audio-in port for attaching an external mic, but no audio-out port, so you can’t plug in headphones to monitor audio. While the front of the X100F is very similar to its predecessor, there have been some changes to the rear and the top-plate. Most important is a new manual ISO dial, allowing you to change ISO without going into the menu. This was a major oversight on the X100T, so we’re delighted Fuji has rectified it. The dial is actually part of the shutter speed dial – just as it was on Fuji’s film cameras. 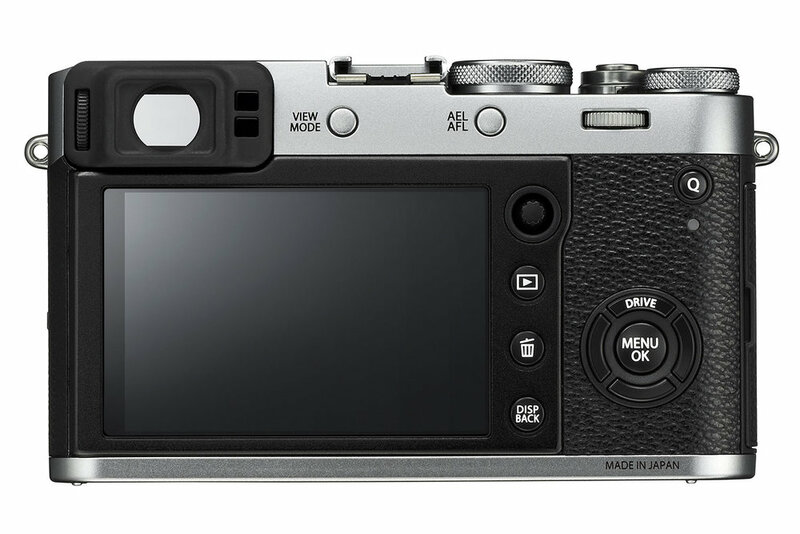 On the back, the buttons that were on the left of the screen on the X100T have been moved to the right, so all settings are changed with the right hand. Usefully, a small navigation joystick has been added too. The camera handles very intuitively, with manual dials for all the major settings, including an aperture dial on the lens. We should mention though that the thumb dial, which doubles up as a button, clicks in a little too easily when turning. Build quality is excellent, with a magnesium-alloy top-plate and a grippy, faux-leather coating front and rear. Unfortunately, there’s no weather-sealing, which you would usually expect on a camera at this price point. This beautifully-built compact is very much a photographer’s camera, with lots of manual controls that keep you firmly in the driver’s seat. It offers exceptional image quality and lots of improvements where it matters – in particular, the new 24.3MP sensor, the powerful processor, the improved viewfinder, the upgraded AF system and the new ISO dial really impress. It’s a shame touchscreen hasn’t been added, and video functionality and battery life could be better, but otherwise this is a feature-rich release that is perfect for street and travel photography. Highly recommended.